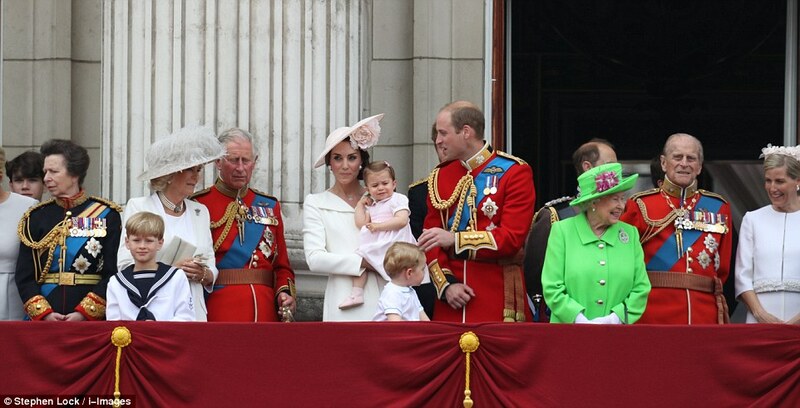 The Queen's official 90th birthday celebrations took place today, and all the members of the Royal Family attended, dressed in their elegant best. 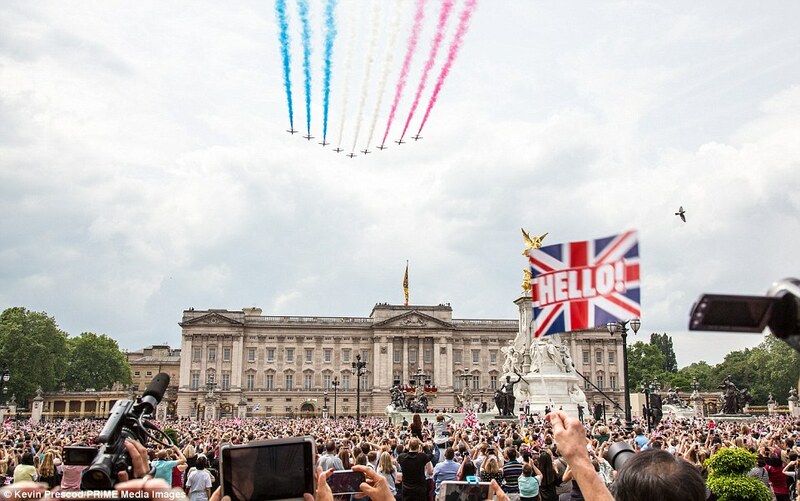 While thousands of commoners lined the streets of London to get a glimpse of the Royals, it was Princess Charlotte who stole the show with her adorable appearance in the Buckingham Palace balcony. 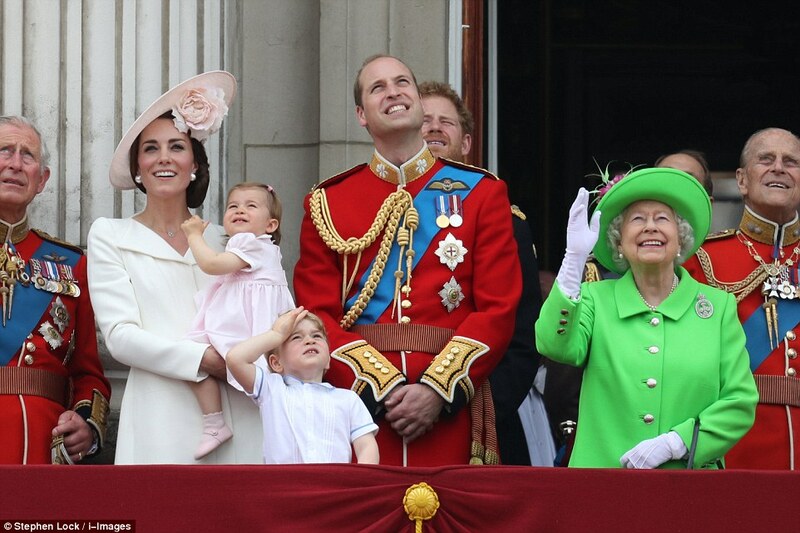 The Royal Family gathered in the balcony to observe a fly-past by the Royal Air Force, and the Duchess of Cambridge Kate Middleton took the centre spot with Princess Charlotte in her arms. 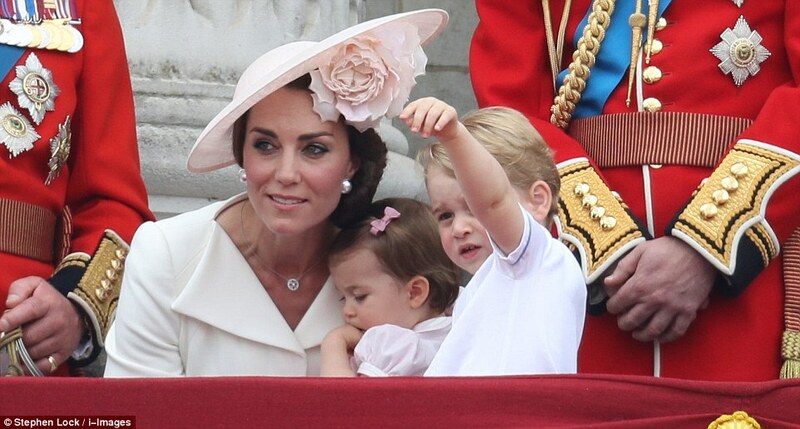 Kate Middleton, who yesterday wore a lace-detail powder blue coat dress for the Queen's 90th birthday service at St. Paul's, wore a beautiful cream coat dress by Alexander McQueen, paring it with a floral detailed Philip Treacy fascinator in a matching hue. The bespoke shift dress with an inverted neckline was first seen on Kate at Princess Charlotte's Christening, and the Duchess paired it with her Mappin & Webb necklace. 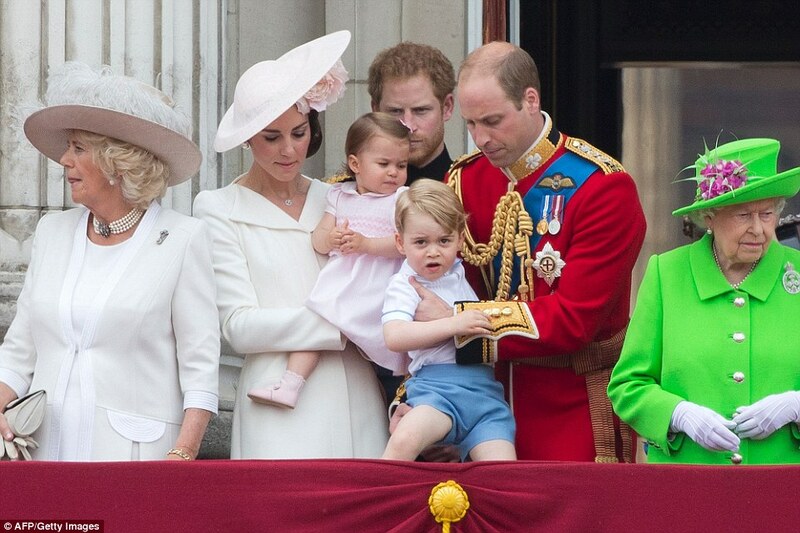 Queen Elizabeth, however, was the one who stood out from her family, and wore a vibrant green coat and dress by Stewart Parvin and a matching hat by Rachel Trevor Morgan.